Welcome to the Choreonoid official site! 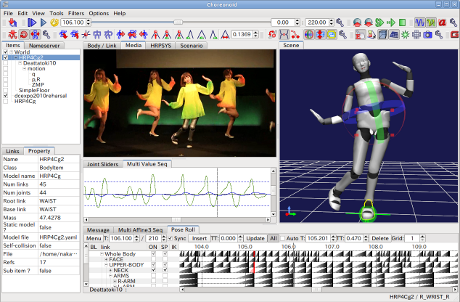 Choreonoid is an integrated robotics GUI environment, which allows users to add their own functions on the basis of various basic robotics functions. In this site, we distribute the program and provide the information on it.